Four D-ring tiedowns providing unlimited adjustability for safe and secure hauling. Shown with options. Brake options will change the overall length of the trailer. Recommended tongue weight 7-10% of GVWR. Upgraded tires will change the deck height. Prices and specifications may change without notice. 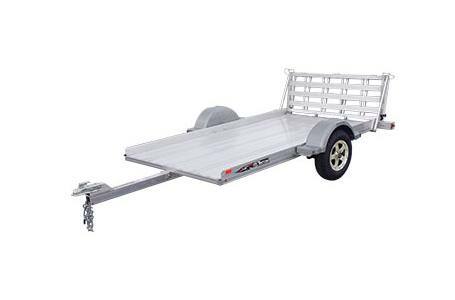 It is the responsibility of the purchaser to adhere to the brake laws regarding trailers. For full information on the laws in your state, contact the appropriate state motor vehicle department.